I finished an Easter card this evening. I used a Bugaboo waving bunny on it. I think he is super cute! I colored him with Copics. I used the swiss dots embossing folder for the purple cardstock. The flowers are from a trim I have. And the background paper is a scrap (Yay!). I used a little pink ink around the bunny square too. Sooooooo cute! LOVING that bunny!!!!!!! 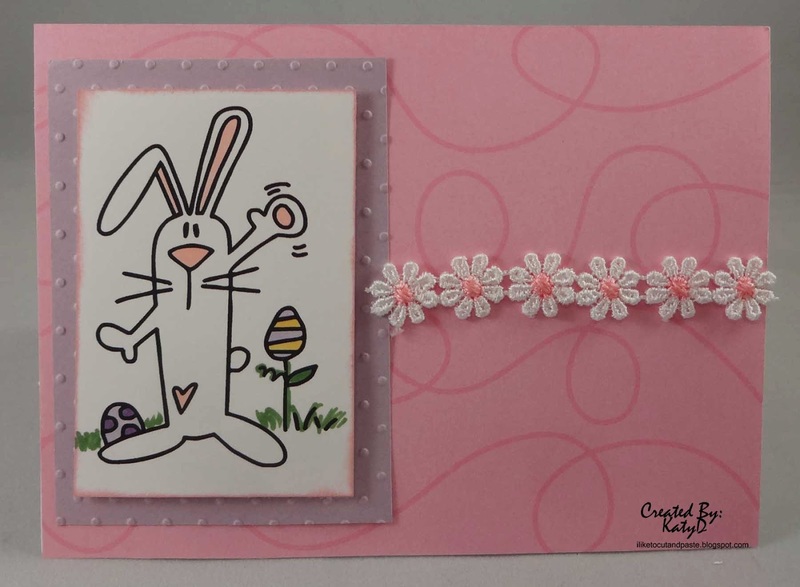 Darling Easter bunny and card design Katy. Katy, this is adorable! Love that bunny!! 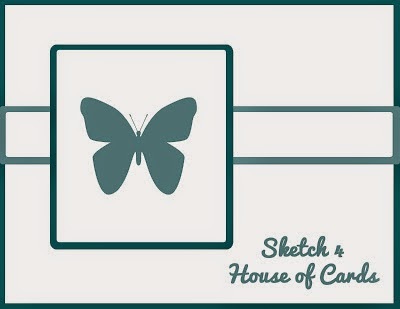 PS: Have you entered my blog candy yet?! :) If yes, awesome! If no, do it! ;) HUGS! He's is pretty cute for a rabbit!! Thank you for sharing him with us at HOC. What a great project, very cute!! Thanks so much for joining us for our April Anything Goes Challenge at Catch the Bug, I hope you join us again very soon. Cute card and I like the daisy trim. Thanks for joining us at Catch the bug for our ATG challenge.